We believe the PR profession in India has come of age. Thousands work in consultancies and in-house teams but the movers and shakers are about a hundred who drive excellence, inspire confidence and have come to become role models. We will profile this list of 100 men and women each year, starting September 2017. As always, we are about inclusion and diversity, so we will try to focus on 25 men from in-house and 25 from consultancies. Similarly, we will aim to have 25 women from in-house and 25 from consultancies. Nominations and self nominations to the list are open from June 10th to June 30th. How will we arrive at 25 in each of the four sections? – In the consulting category, we will look at leaders who have founded or built or sustained big brands. People who have created employment, won big mandates, stayed the course, run the race long enough and grown leaps and bounds. In the in-house category, we will look for those who have two decades of experience and longer. There will be exceptions. We will talk to peers, look for contribution to knowledge sharing and also gauge the respect they command among subordinates. 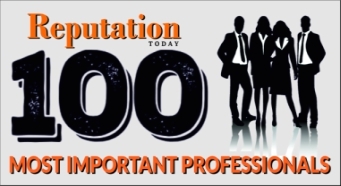 These lists are subjective and the primary purpose is to recognise people and offer them as inspiration to the new generation of professionals. We will avoid more than one person from an organisation unless they are co-founders in the case of consultancies. We will finalise the list based on affiliation as on August 20th 2017. Following international practice, the nominations will have a fee. The cost will be Rs 6000/- each and this amount can be used in full by the one paying, to attend any of the Reputation Today platforms over the next 12 months. So, this would work as a cover charge. When you click on the tab to pay, please note down the Transaction ID which you will require when you click to register your nomination. The survey is currently closed. Is it worth hiring a Public Relations firm?